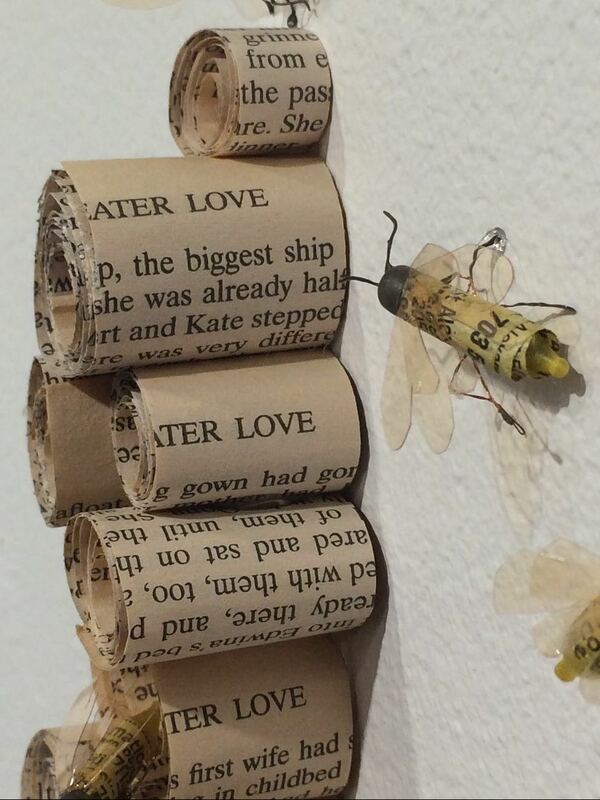 A honey of an art exhibit! Scientists often have difficulty explaining scientific concepts to the public. It's challenging to know one's audience and effectively communicate complex scientific concepts. This communication is such a challenge, that Stony Brook College has developed the Alan Alda Center for Communicating Science to help scientists "communicate more directly and personally." Using art to talk about science is a very effective way to reach people who might not necessarily be interested in science. I was fortunate to observe this type of communication at a local art opening at the Torpedo Factory Art Center in Alexandria VA this past weekend. Among many other fascinating pieces, Lisa Schumaier presented her creation, "Habitation of Bees." 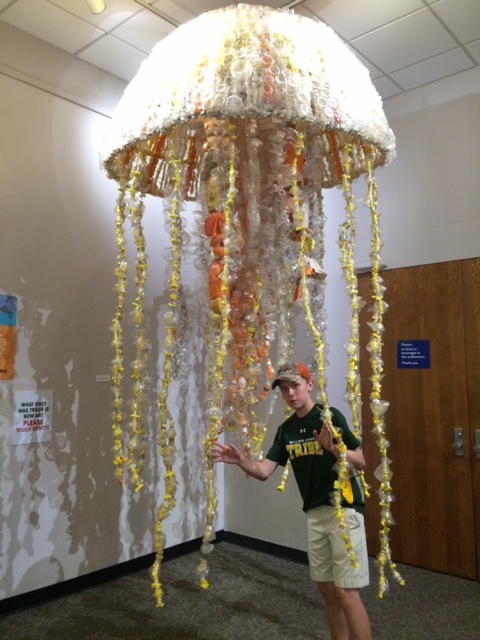 Ms. Schumaier is a skilled communicator, using her art to share ideas with local audiences. I first met Ms. Schumaier when my son attended one of her art camps, and witnessed her skill at communicating with students, young and old. 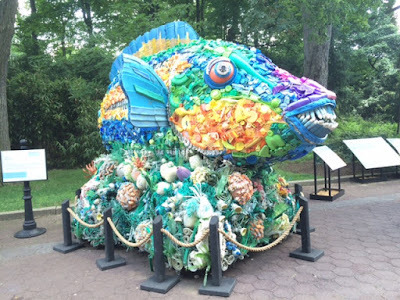 In her latest work, Ms. Schumaier continues to effectively communicate environmental ideas to the public. 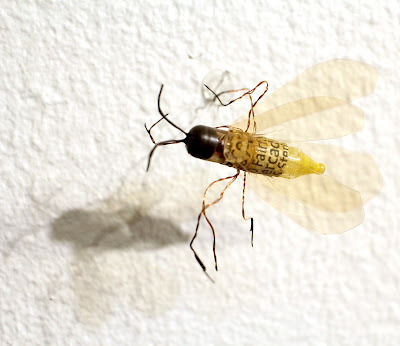 The artist's explanation stated that the work "explores bees, highlights their individuality, ingenuity and importance to our world. 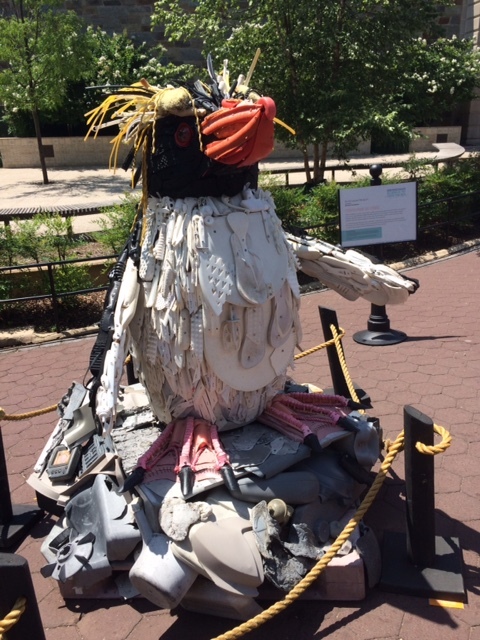 The use of entirely recycled materials for the installation hints at our own part in the destruction of the environment that sustains us all." 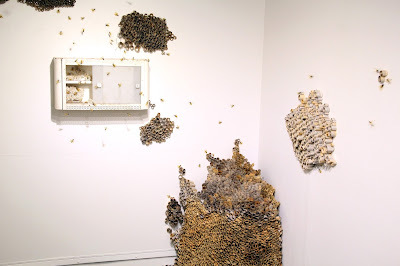 As a former beekeeper, I found this display beautiful and fascinating. 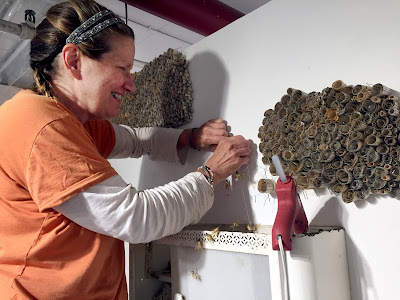 The tiny bees were each created out of Christmas lights and their hive was made of thousands of pieces of rolled paper carefully glued into place to resemble a beehive or the tunnels of solitary bees. 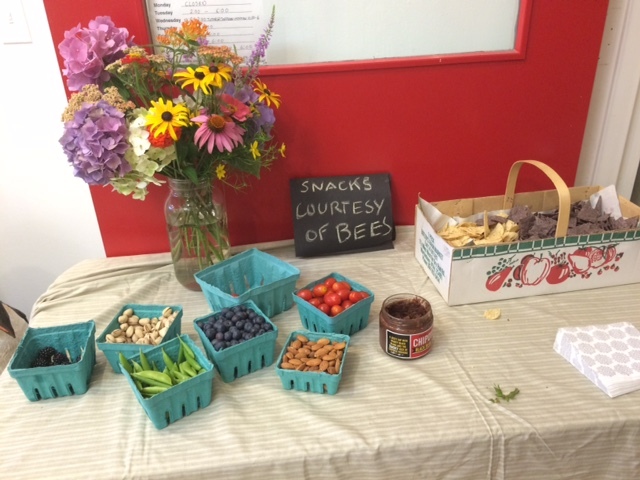 Near this display was a table reminding attendees about the role that bees play in pollination. The tiny bees are for sale with the proceeds supporting The Navajo Bee Project. This program reintroduces beekeeping into the Navajo pastoral economy, where a hive that brings in between $600-$800 worth of income from honey and wax can be a great benefit to this community with an unemployment rate of up to 42%. This art exhibit is especially effective, because it uses different methods for communicating to different audiences. 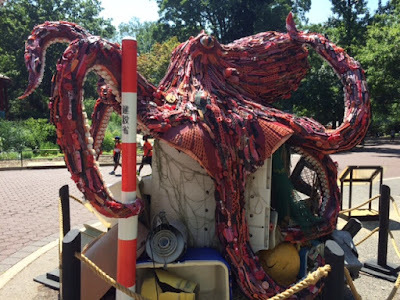 Whether you're a visual arts lover, a foodie, or a philanthopist, there's something here for you. But here's the take-home lesson, as Ms. Schumaier explained it -- we need to love our bees and pollinators! 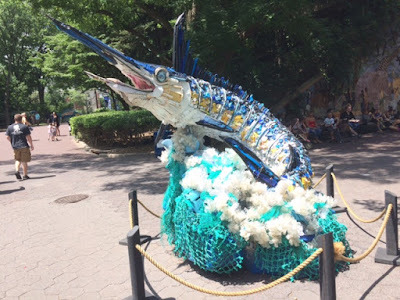 I strolled around the National Zoo last week, a place that I've visited hundreds of times, and had a very pleasant surprise. Unlike my past visits, it wasn't the live animals that I found so fascinating -- it was an art exhibit! 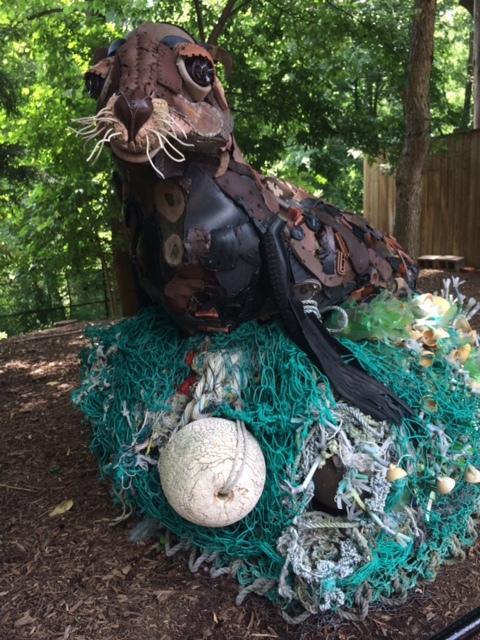 This exhibit, called Washed Ashore, is presented by a non-profit organization "whose mission is to use the arts to educate a global audience about plastic pollution in oceans and waterways and to spark positive changes in consumer habits." 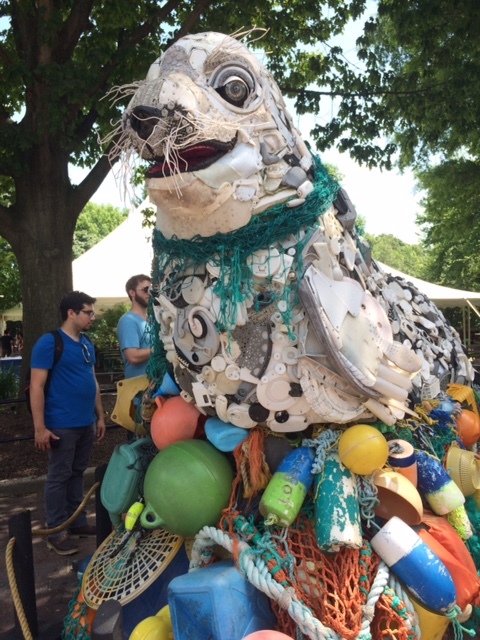 This powerful exhibit does a terrific job of demonstrating the type of trash found in the sea and explaining its impact on marine life. 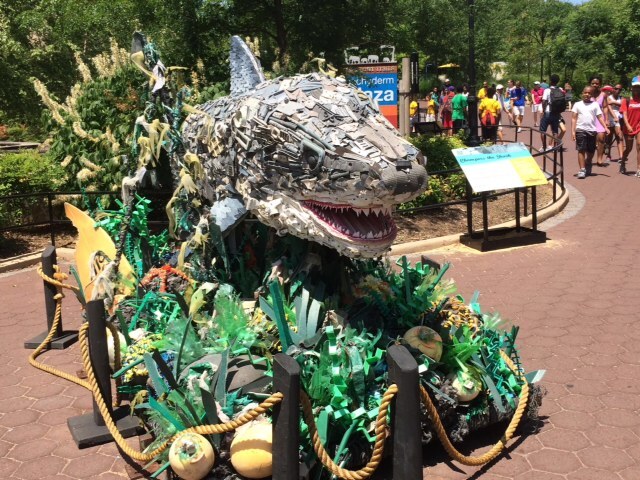 The sculptures, built totally out of trash from the sea, are beautiful, Each sculpture is accompanied by an interpretive sign to help the public understand the exhibit and learn how they can change their behavior to protect the oceans. We strolled along the trail on a gorgeous, warm July evening for our summer stream monitoring on Difficult Run Stream in Great Falls VA. As we've done since we became stream monitors a few years ago, we were off to check the water quality of our stream using benthic macroinvertebrates (critters without backbones that live on the stream bottom) as indicators of stream health. The last time we visited was during the winter, and the score for the stream was an 8 -- pretty good for this particular stream! This time it wasn't quite so good -- the score was a 5. 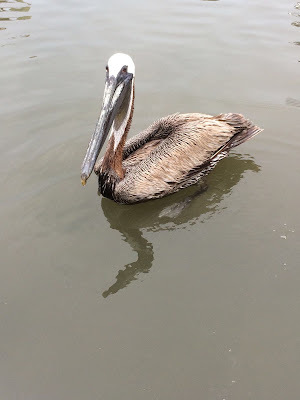 We saw many clams and LOTS of common netspinners, which are animals that are fairly tolerant of low water quality. We'll see what the fall survey brings! Grass clippings -- take the easy way out! "The Environmental Protection Agency (EPA) estimates that yard waste accounts for 18% of refuse dumped into landfills. And when grass clipping ans excess fertilizer enter the curb line and storm inlets, they eventually drain to our local streams and rivers. This yard waste pollution contributes to excess nutrients such as nitrogen and phosphorus in our waterways, which can cause uncontrolled growth of algae and aquatic plants. 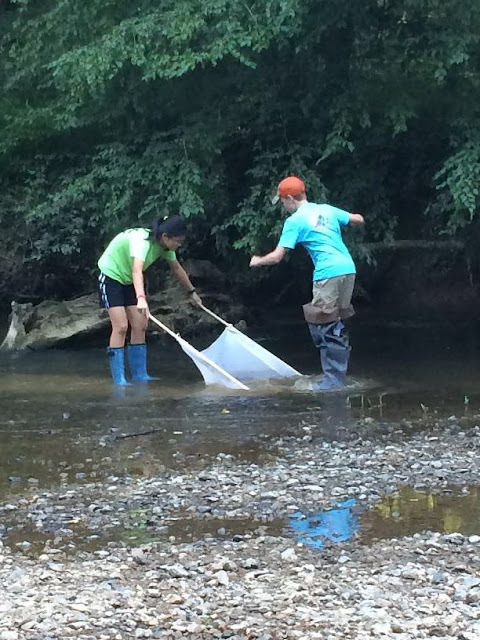 Excess algae causes deoxygenation of water and can have a detrimental impact on aquatic ecosystems, including on fish and other stream creatures." What's the best way to leave grass clippings? Let your grass grow to about 3 inches, and then mow only 1 inch. Mow every 4 to 7 days, depending on rain. This method (the one-third rule), helps the lawn to become healthier and develop a deep root system. Leaving grass clippings is less work, better for the environment, and builds a healthy lawn -- win!win!win! 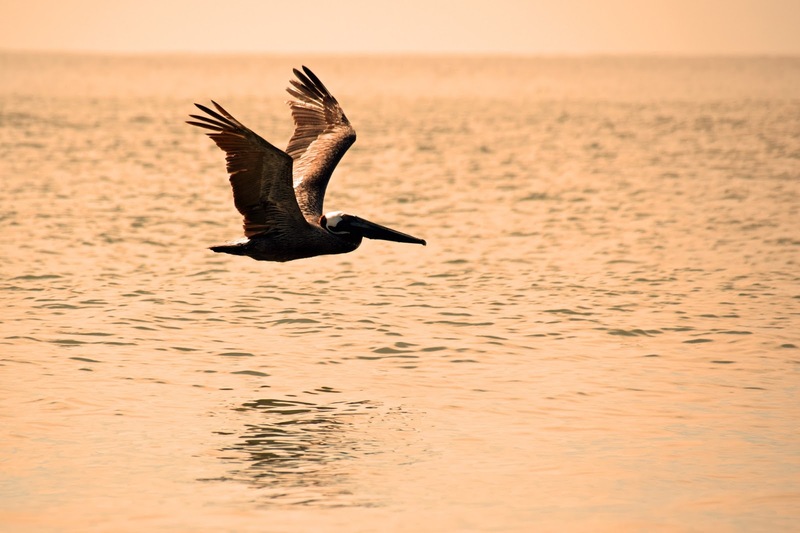 They glide over the beach in a coordinated line, dipping and rising as the wind blows against them. 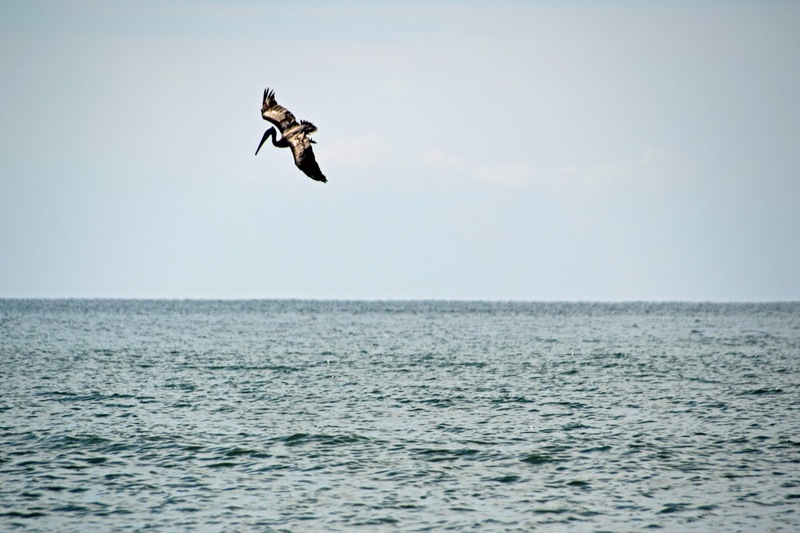 One bird peels off to fly high in the air, and then dive beak-first to catch a snack below the ocean's surface. 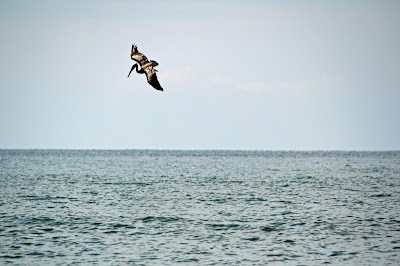 The brown pelicans on the South Carolina shore are great beach-side entertainment. 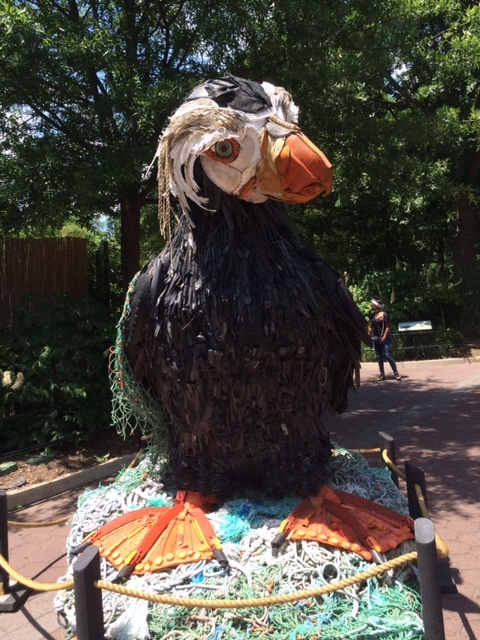 But these birds aren't just a great show, they're also proof positive that the Endangered Species Act works. A common myth about the Endangered Species Act is animals and plants are never removed from the list; they don't recover. 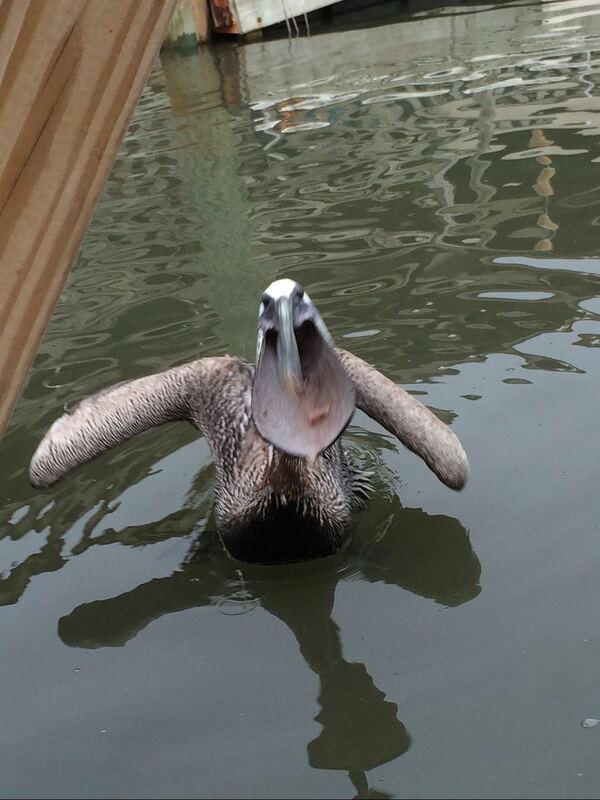 The brown pelican is happy to say, "au contraire!" After near extinction due to DDT exposure in the 1960s and 1970s, this bird species has made a remarkable recovery. They can now commonly be found in coastal estuaries and marine habitats from Maryland to Venezuela. Be sure to check out Cornell Lab of Ornithology's All About Birds website to learn more about these fascinating birds, like the fact that they swallow more in their pouches than their stomachs can hold. Why shouldn't I climb on the dunes? You're walking along the beach and see the signs along the edge of beach -- PLEASE DO NOT CLIMB ON THE DUNES (photo credit). But it's fun, so why do we need to protect dunes? Dunes, marshes, and wetlands are nature's sponges. They help keep the water where it belongs (in our waterways and oceans) and out of where it doesn't belong (your house, street, basement, etc). Healthy dunes help protect the land behind the dune from storm damage and protect the beach from erosion. I snapped a couple of pictures on Edisto Beach SC last week. These photos do a great job of demonstrating the beach damage that occurs when we build on or destroy dunes. 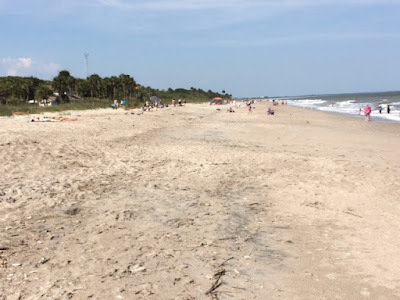 This first picture is the beach at Edisto Beach State Park, where dunes are protected. 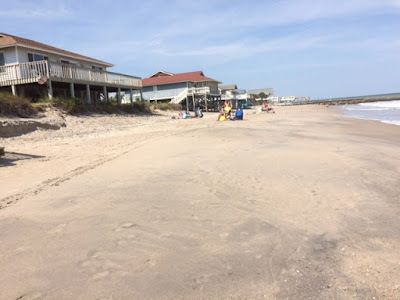 Note the size of the beach and the vegetation buffer. After taking this picture, I wandered down the shore, just a couple of hundred yards. In this area, houses are often built ON the dunes, rather than behind them. Note the lack of vegetation (except under houses) and the width of the beach. Not only is the first beach a much more pleasant place on a summer day, it's also much better protection when storms hit. The same is true of marshes and wetlands. These areas provide natural absorption of rain and stormwater. So avoid the urge to scramble on the dunes and ensure that the beach remains healthy! What's for dinner tonight? 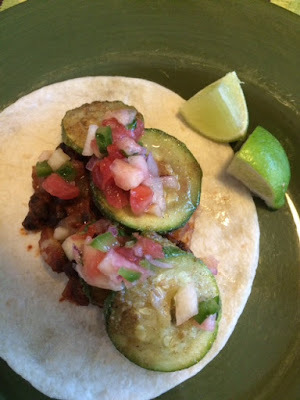 Fantastic Falafel! Red, White, Blue, and GREEN on the 4th of July!